Not that this is yet another contextual ad mishap. Then again, maybe it is. It's not obvious this ad is on this page contextually or just normally. 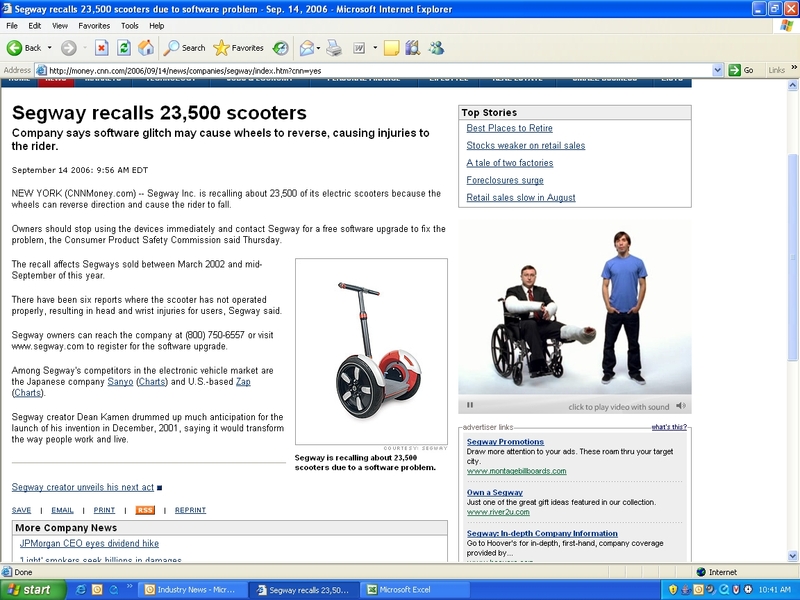 Next to an article about Segway recalling 23,500 of its scooters because the wheels can suddenly reverse causing injury to the rider is an apple ad with the PC guy in a wheelchair with casts on both arms and one leg. Actually, this contextual screw up, unlike the Anna Nicole Smith dead son one, is actually brilliant.